As the polar air begins to invade numerous states across the nation this week, thoughts of the upcoming holiday season warm my heart. Memories of my childhood Christmases start to fill my mind, and I think about some of the most special family Christmases I have had. We weren’t always very well off financially when I was growing up. Although we never went hungry, the unstable economy made sure that we were careful with what we spent. I can remember waking up some Christmas mornings to mounds and mounds of gifts, while others would hold just one or two special presents, unique gift ideas, for each person. Many years, my mother and father simply did without. 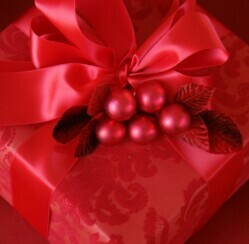 It’s funny, however, how those Christmases were all special to me, regardless of the number of gifts I received. No matter how much money we had, my parents always seemed to come up with at least one special Christmas gift that really meant something to us kids. As a young mother in the beginning, I always tried to fill the space under the tree with mounds of Christmas gifts for my own children, friends and family members. After a few years of watching toys sit untouched in toy boxes, tools remain unused, and seeing clothing hanging in the closet unworn, however, I started to realize that it isn’t about the number of gifts you receive, but instead about whether those gifts are given with lots of thought and love put into them. I vowed then, that no matter how much money I had, I would always find at least one special Christmas gift for each of my recipients. A special Christmas gift doesn’t have to be overly expensive or exotic. Sometimes the most wonderful gifts are simply gifts that say “I’m thinking about you”. If you are searching for special Christmas gifts for your loved ones this holiday season, you’ve come to the right place. Unlike your local discount stores, Christmasgifts.com offers an abundance of unique gifts ideas that are designed to be something really special. Light Affection’s personalized photo lamps make excellent unique gifts for recipients of all ages. With a variety of frame styles (or even a night light) to choose from, there is certain to be a style that fits. These one of a kind photo lamps are created based upon a photo that you provide, so you can rest assured that your recipient receives something completely unique. Consider giving your loved one a unique experience this Christmas, and create treasured memories that will last a lifetime. With everything from hot air balloon rides and race car driving to wine tours and dinner cruises, you are sure to find something special for your loved ones. Create a one of a kind gift basket for everyone on your list this Christmas. Gather a variety of items that coincide with a favorite hobby, interest or collection, place them together in a gift basket or tin, and create a meaningful gift that is unique to each person on your list. Have you ever received a really unique gift idea or special Christmas gift? What did you receive, and how old were you? Do you still have the gift? Have you ever considered re-gifting something that is especially meaningful to you? Tell about it! We love hearing from you.